Elizabeth Mattijsen was born in 1956 in the city of Amsterdam. There she grew up to be almost 7 years of age. Then she moved with her parents to a little town (called Roosendaal) in the south of the Netherlands. After finishing primary and secondary school there, she moved back to Amsterdam in 1976 to study Astronomy at the University of Amsterdam. In the fall of 1977, two PLATO terminals were placed in the library of the Physics building. Having always been interested in computers, these new terminals (512x512 monochrome graphics, touch panel, instantaneous execution of programs) proved irresistible to her. By comparison: to be able to use the University mainframe computer, you had to punch cards and had to hand them over at a counter to an operator. Only to hear 20 minutes later that a period had been forgotten and that the whole job had been abandoned. The PLATO terminal, hooked up via satellite to a mainframe in Minneapolis, was much more responsive: type in your program, press SHIFT-STOP, and your program would be running. It provided her with a means to channel her creativity that could not find an outlet in Astronomy. Needless to say, a lot of hours were clocked behind the terminal. Soon the first program was born: a parapsychology test. Shortly thereafter her parents told her that they were not going to support her study anymore if she was not going to study enough. Fortunately, it was possible to get a temporary job working as a programmer on the PLATO Pilot Project of the University of Amsterdam. This lasted until 1980. Then she left the University to start working for the "Bureau voor Toegepaste Onderwijskunde", a Dutch name meaning "Bureau for applied educational science". Here she continued to do development work on PLATO, until 1983 when PLATO was shut down in Europe. The "Bureau" with its unspeakable Dutch name, changed its name to Courseware Europe. And instead of using PLATO for development of CBT, the TenCORE system was used. Courseware Europe grew to become a part of the multinational company called the Courseware Group. During this period she was involved in the development of courseware, CBT authoring systems and a decision support system, apart from being the person to ask if there was a technical problem of any kind. She gave workshops in countries such as Sweden, United Kingdom, Ireland, Germany, Belgium, Switzerland, India and of course the Netherlands. In 1988 she decided to start her own company, I.K.S.X. Consultants, together with her partner, Wendy G.A. van Dijk. Apart from running the company on a day-to-day basis, she also developed a number of tools for TenCORE users. Liz and Wendy together set up xxLINK, the first Dutch commercial information provider on the Internet. In December 1999 they sold xxLINK to the French company Integra, that was building a network of European content and hosting providers. In August 2000 they left the company, which was by then become known as Integra Netherlands. Now, a couple of years later, almost the whole of Integra Europe was taken over by Genuity, which in the meantime itself is taken over by Level3. The remainders of Integra Nederland are closed or taken over by Proserve. 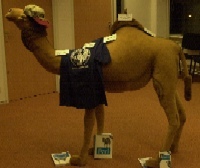 In January 2000 they started Dijkmat, a small internet consultancy company. For the clients of Dijkmat, she performs such tasks as programming, project management, concept development and system development. Liz is dedicated to the open source ideals and prefers to work with Linux, Apache, Perl and MySQL. While working at xxLINK, she started the development of a toolkit library in Perl for herself and the other programmers and website developers: LizPerl. Some aspects of LizPerl are obsolete because of other Perl toolkits freely available on the internet, and in other aspects because the developers of Perl added the functionality of several of these modules to the Perl core. But as a whole, they are interesting enough to make the toolkit library open source, one day in the future. Not now, because making something open source costs a lot of time, and working together with interested developers costs a lot of time as well, and even though this is real fun time, this time is not yet available. In the last 4 (and a bit more) years she has been involved in the development of Perl modules and even contributed a bit to the development of Perl itself. 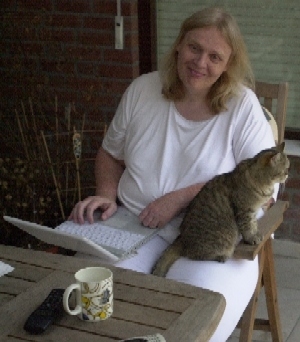 She is an active member of the Dutch Perl community and she also is active as a Perl Monk. At the first Dutch Perl Workshop she gave a presentation about Parsing XML/HTML. For Dijkmat she developed the search engine software Kasyk, which is made public in open source according to the rules of the GNU Public License.